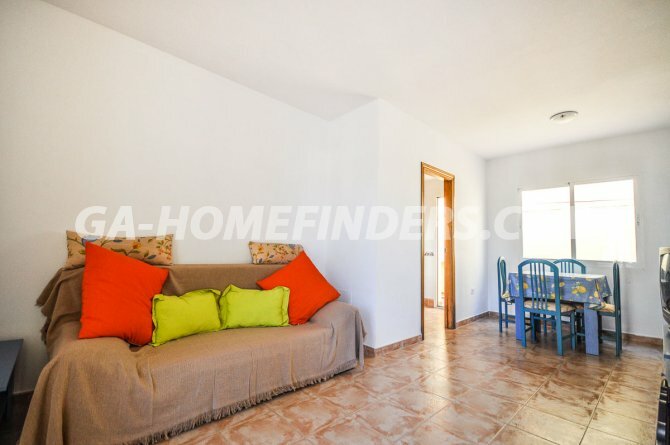 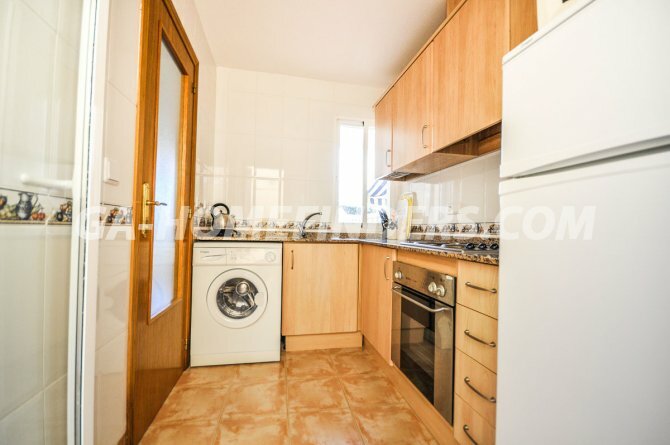 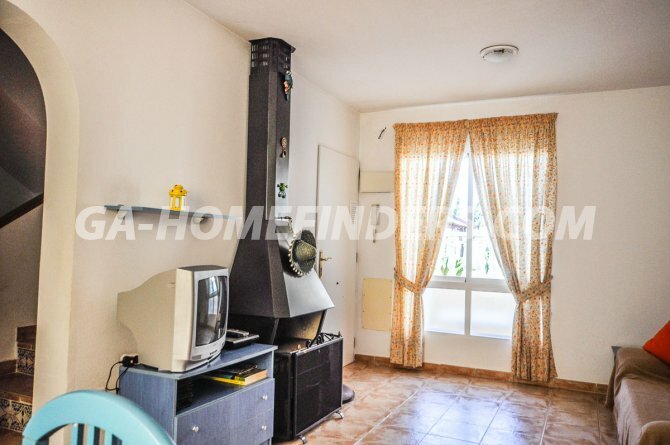 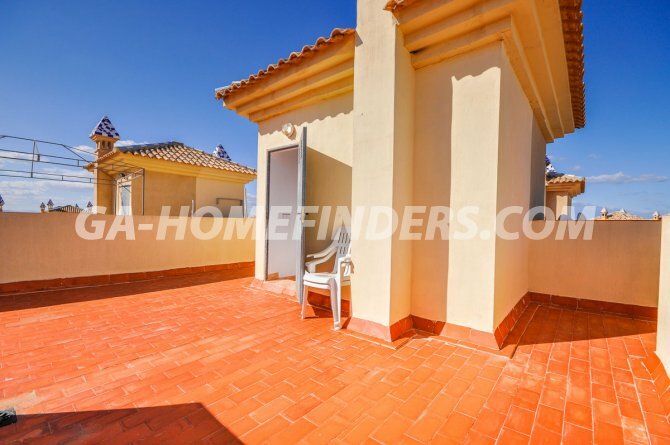 Very bright and airy furnished townhouse, with a large terrace, the windows have security shutters, the living room has a wood burner, it has two bedrooms and two bathrooms and an independent kitchen with appliances which connects to the galleria. 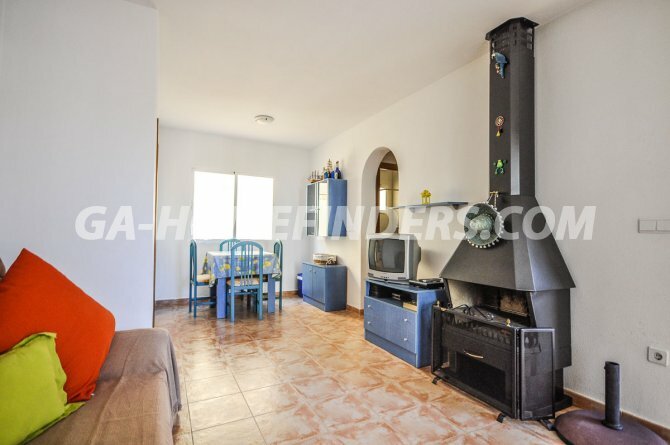 The main bedroom has a large fitted wardrobe and dressing area, on the top floor is the solarium where there are beautiful views. 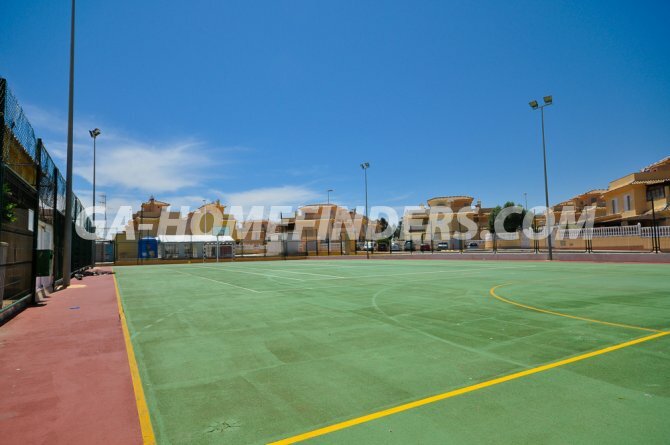 It is situated in a gated urbanisation, which is quiet and well maintained, with wide streets, with 2 swimming pools, tennis court and playground. 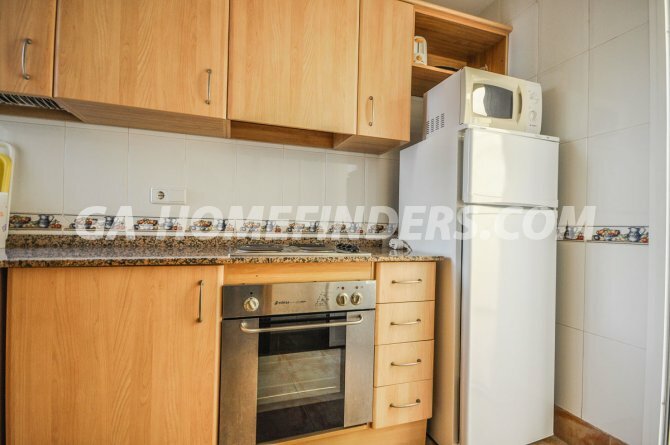 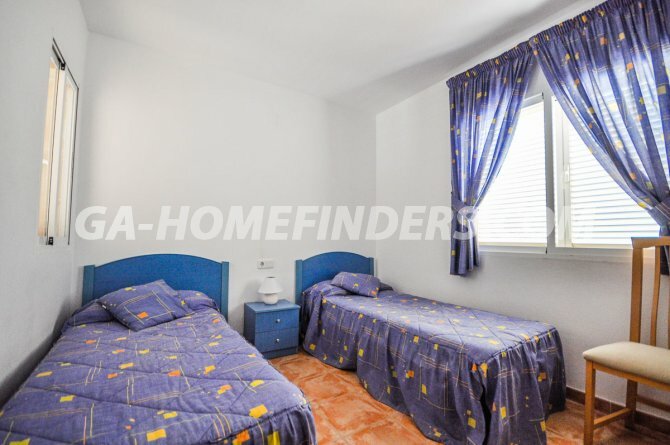 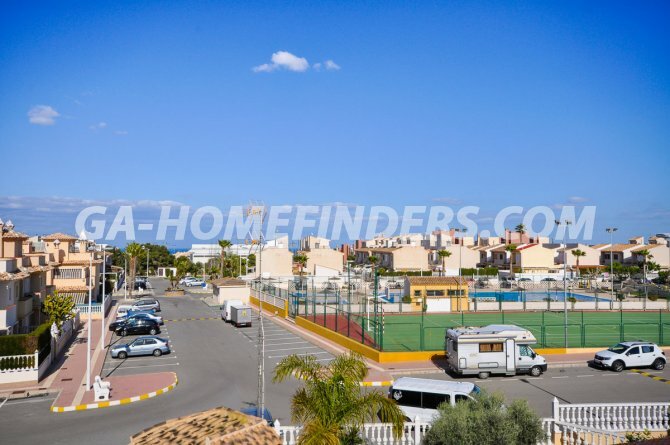 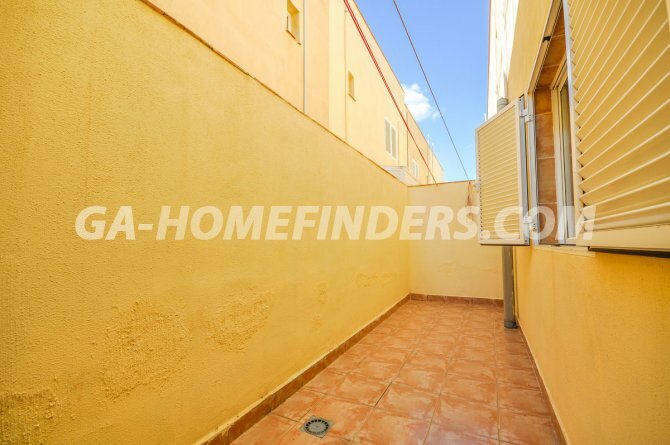 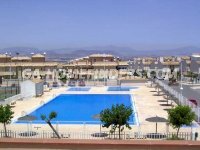 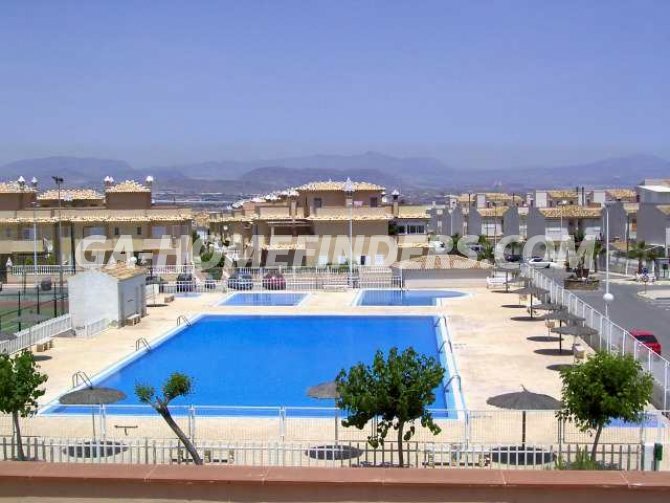 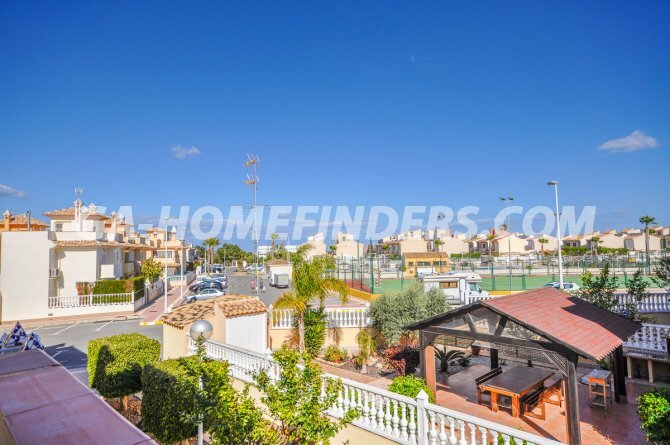 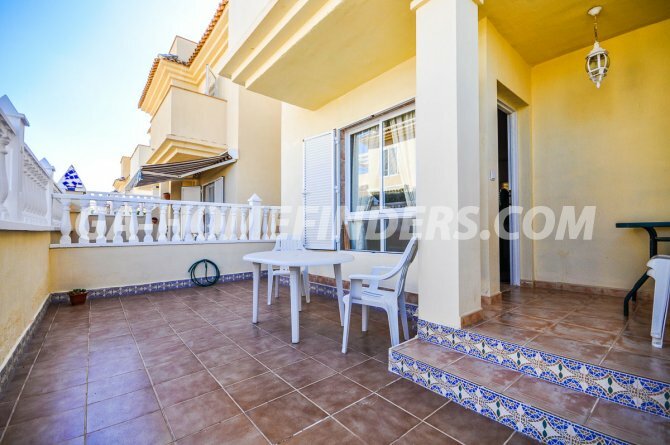 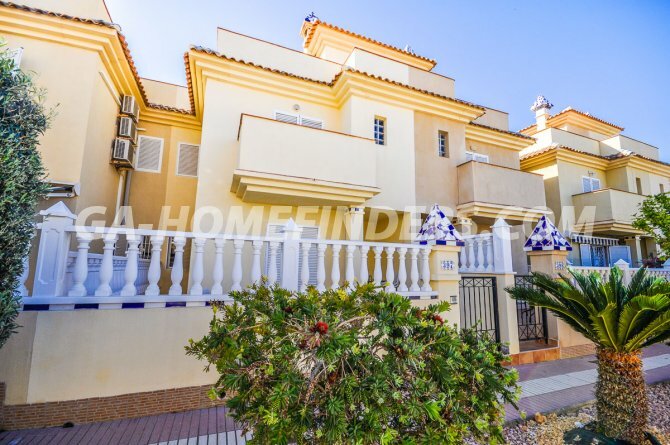 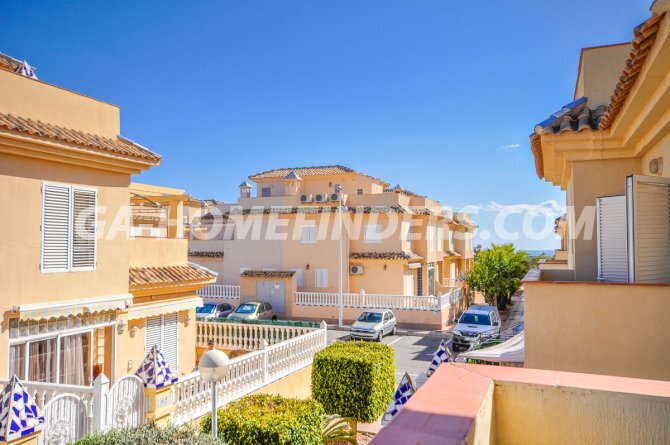 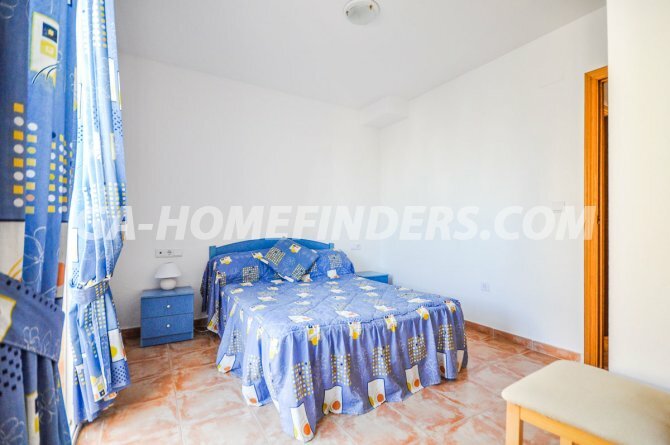 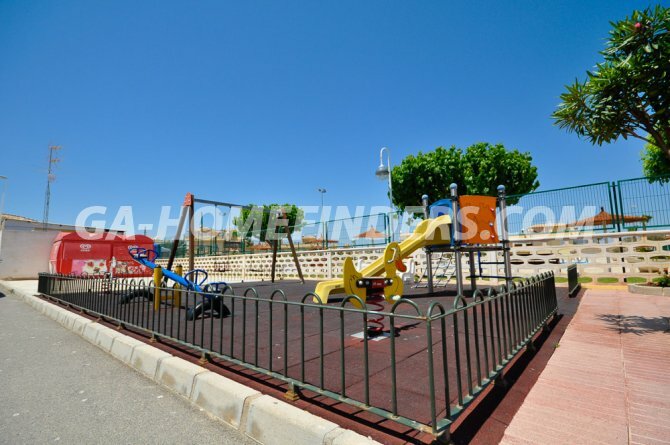 It is located in the upper part of Gran Alacant, close to a variety of restaurants, bars, shops, the sports centre, banks, public transport, and is less than 5 mins drive from the beach of Carabassi.